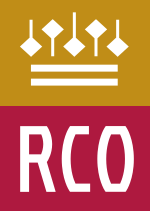 The Royal Concertgebouw Orchestra (Dutch: Koninklijk Concertgebouworkest, pronounced [ˌkoːnɪnklək kɔnˈsɛrtxəbʌuʋɔrˌkɛst]) is a symphony orchestra in the Netherlands, based at the Amsterdam Royal Concertgebouw (concert hall). In 1988, Queen Beatrix conferred the "Royal" title upon the orchestra. It is considered one of the world's leading orchestras. The Concertgebouw opened on 11 April 1888. The Concertgebouw Orchestra was established several months later, and gave its first concert in the Concertgebouw on 3 November 1888, conducted by the orchestra's first chief conductor, Willem Kes. Kes served as the orchestra's chief conductor from its 1888 founding to 1895. In 1895, Willem Mengelberg became chief conductor and remained in this position for fifty years, an unusually long tenure for a music director. He is generally regarded as having brought the orchestra to a level of major international significance, with a particular championing of such then-contemporary composers as Gustav Mahler and Richard Strauss. For approximately its first 75 years, the Concertgebouw Orchestra had a somewhat complicated roster of conductors. In addition to the chief conductor, the orchestra had conductor positions titled "eerste dirigent" ("first conductor"), who assisted the chief conductor with programming, and "tweede dirigent" ("second conductor"), who did "what he was told." During Mengelberg's time as chief conductor, several of these first conductors included Karl Muck (1921–1925), Pierre Monteux (1924–1934), Bruno Walter (1934–1939), and Eugen Jochum (1941–1943), each of them internationally respected and holding positions at other orchestras as well. Musicians who served as "second conductor" were all Dutch and included the composer Cornelis Dopper, Evert Cornelis and Eduard van Beinum. In 1945, because of the controversy over his relationship with the Nazi occupying forces during the German occupation of the Netherlands during World War II, Mengelberg was removed as chief conductor and subsequently banned from conducting in The Netherlands. The ban was initially imposed for the remainder of his life, but after an appeal, reduced to six years, applied retroactively from 1945. Mengelberg died in 1951 just before the end of his sentence, thus never conducting the orchestra after 1945. From 1945 to 1959, the orchestra's principal conductor was Eduard van Beinum, who had debuted with the orchestra in 1929. He had become the second conductor of the orchestra in 1931, and co-principal conductor in 1938. One of his specialties was the symphonies of Anton Bruckner, and Van Beinum made commercial recordings with the orchestra of Bruckner's Eighth and Ninth Symphonies for the Philips Records label. Van Beinum served as sole chief conductor of the orchestra after World War II until his sudden death on the Concertgebouw podium from a heart attack in April 1959. Bernard Haitink made his debut with the Concertgebouw Orchestra on 7 November 1956. After Van Beinum's death, from 1961 to 1963, Haitink and Eugen Jochum shared the post of chief conductor of the orchestra. Haitink became sole chief conductor in 1963, and served in this post until 1988. At some point during Haitink's time, the conductor system was simplified to have an assistant conductor instead of first- and second-conductors. Conductors who served in this capacity included Edo de Waart and Hans Vonk. The recording profile of the orchestra increased most dramatically under Haitink, with many recordings for Philips Records, as well as EMI and Columbia Records. In the early 1980s, the Dutch government threatened the orchestra with reductions in its government subsidy that could potentially have led to the dismissal of 23 musicians from the orchestra. Haitink threatened to resign in protest, and the financial situation was eventually settled. In 1999, Haitink was named the orchestra's Conductor Laureate. In March 2014, Haitink suggested to the Dutch newspaper Het Parool that he wished to renounce the title of RCO conductor laureate and no longer to guest-conduct the orchestra, in protest at the orchestra's current administrative management. In September 2015, the orchestra announced a rapprochement with Haitink, with a scheduled guest-conducting engagement with the RCO in the 2016-2017 season. Riccardo Chailly made his debut with the Concertgebouw Orchestra in 1985, and was elected that year as their next chief conductor to succeed Haitink. As the first non-Dutchman to hold the post, Chailly served as chief conductor from 1988 to 2004. His recordings with the orchestra include complete Mahler and Brahms symphony cycles and several Bruckner symphonies. He is a strong advocate of modern music and recorded shorter works of Shostakovich, the complete Kammermusiken of Paul Hindemith, and the orchestral works of Igor Stravinsky, Olivier Messiaen and Edgard Varèse. After his departure in 2004, Chailly was named Conductor Emeritus of the RCO. The Latvian conductor Mariss Jansons made his RCO debut in 1988 and was elected chief conductor on 22 October 2002. His tenure officially began on 1 September 2004, with an initial contract of three years. Premières during Janson's tenure have included Hans Werner Henze's Sebastian im Traum, a RCO co-commission. In April 2014, the orchestra announced the scheduled conclusion of Jansons' tenure as chief conductor after the 2014–15 season. Daniele Gatti first guest-conducted the RCO in 2004. In October 2014, the RCO announced the appointment of Gatti as its seventh chief conductor, effective in 2016. On 2 August 2018, the orchestra announced Gatti's immediate departure following allegations of sexual misconduct against the conductor. The orchestra enjoyed a close relationship with Gustav Mahler and championed many of his symphonies, with an especially worthy festival of his music being the 1920 Mahler Festival. Other conductors who worked closely with the Concertgebouw Orchestra included Pierre Monteux, Eugen Jochum, George Szell and Kirill Kondrashin, who was principal guest conductor from 1978, following his defection from the USSR, until his death in 1981. More recently, Nikolaus Harnoncourt served as Honorary Guest Conductor of the RCO, beginning in 2000, and leading his final performance with the RCO in October 2013. Another factor in creating the orchestra's distinct character is that the Concertgebouw Orchestra has had only six chief conductors, setting it apart from orchestras of similar age and caliber. The nearly one thousand recordings that the orchestra has to its credit have also contributed to this reputation. The orchestra also serves as one of the opera orchestras for productions of the Dutch National Opera. Jan Raes is the orchestra's executive director, since 1 December 2008, succeeding Jan Willem Loot, who retired in November 2008. Past artistic directors of the Concertgebouw Orchestra have included Rudolf Mengelberg (1925-1955), Marius Flothuis (1955–1974), Hein van Royen (1974-1991) and temporarily Peter Ruzicka. The present head of artistic administration for the orchestra is Joel Ethan Fried. The RCO has begun to issue CDs on its own label, RCO Live, as conducted by Jansons and Haitink among others. Bassoons: Gustavo Núñez and Ronald Karten. ^ In a widely cited list compiled by the British magazine Gramophone in 2008 (The world’s greatest orchestras), the RCO was the number one. A new list published in 2015 by the website Bachtrack (Mark Pullinger, Chailly and the Berliner Philharmoniker: the critics’ choice for World’s Best Conductor and Orchestra, 3 September 2015), also based on a poll amongst music critics, put the Concertgebouw Orchestra on number 2. ^ Other long tenures at major orchestras include Evgeny Mravinsky at the Leningrad Philharmonic Orchestra, Ernest Ansermet at the Orchestre de la Suisse Romande, Robert Kajanus at the Helsinki Philharmonic Orchestra, and Eugene Ormandy at the Philadelphia Orchestra. ^ Wisse, Kees, notes to Q-Disc Issue "Eduard Van Beinum: The Radio Recordings", Q-Disc (translated Lodewijk Odé, Ko Kooman and Chris Gordon). ^ Hussey, Dyneley, "The Musician's Gramophone" (May 1960). The Musical Times, 101 (1407): 303. ^ James R. Oestreich (10 March 2002). "An Eminently Rational Man In an Irrational Profession". New York Times. Retrieved 2007-10-30. ^ James R. Oestreich (2014-03-04). "Haitink nooit meer bij Concertgebouworkest". Het Parool. Retrieved 2014-10-03. ^ "Press Statement - Royal Concertgebouw Orchestra and Bernard Haitink" (Press release). Royal Concertgebouw Orchestra. 2 September 2015. Archived from the original on 18 October 2015. Retrieved 2015-09-03. ^ Guido van Oorschot (2015-09-03). "Concertgebouw toont zich de wijste in kwestie-Haitink". De Volksrant. Retrieved 2015-09-03. ^ John O'Mahony (9 March 2002). "Maestro in the fast lane". The Guardian. Retrieved 2007-08-19. ^ Martin Cullingford (17 October 2002). "Jansons confirmed as Royal Concertgebouw head". Gramophone. Retrieved 2007-08-19. ^ "Mariss Jansons Bids Farewell" (Press release). Royal Concertgebouw Orchestra. 22 April 2014. Archived from the original on 24 April 2014. Retrieved 2014-04-23. ^ Imogen Tilden (2014-04-22). "Mariss Jansons announces Royal Concertgebouw Orchestra departure". The Guardian. Retrieved 2014-04-23. ^ "Daniele Gatti Appointed Chief Conductor of RCO" (Press release). Royal Concertgebouw Orchestra. 3 October 2014. Archived from the original on 6 October 2014. Retrieved 2014-10-03. ^ Imogen Tilden (2018-08-02). "Royal Concertgebouw Orchestra parts company with chief conductor Gatti". The Guardian. Retrieved 2018-08-02. ^ Adrian Boult (22 May 1920). "Mahler Festival in Amsterdam". The Daily Telegraph. ^ Jessica Duchen (17 September 1999). "Dutch courage". The Guardian. Retrieved 2007-08-19. ^ Andrew Clements (5 August 2005). "Bruckner: Symphony no 8, Royal Concertgebouw Orchestra/ Haitink". The Guardian. Retrieved 2007-08-19. Wikimedia Commons has media related to Concertgebouworkest. European archive Copyright free LP recording of Brahms 3rd symphony by George Szell (conductor) and the (Royal) Concertgebouw Orchestra at the European Archive (for non-American viewers only). This page was last edited on 11 April 2019, at 15:52 (UTC).